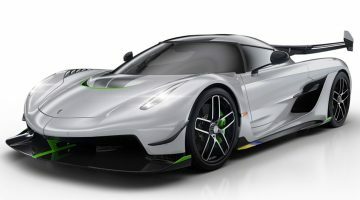 Following in the footsteps of the record-breaking Agera RS, Koenigsegg revealed the Jesko hypercar earlier this year at the 2019 Geneva International motor show. Named after Jesko von Koenigsegg, the father of company Founder and CEO, Christian von Koenigsegg, the model features a revised carbon tub, power plant and all-new gearbox, developed in-house. A redesigned version of the same 5.0-litre turbocharged V8 found in the marque’s previous models pushes up to 1600bhp and 1106lb ft of torque to the rear wheels when running on E85 race fuel – it’s a paltry 1280bhp on standard fuel. Performance figures haven’t been quoted, but we’d imagine it’ll be marginally quicker than the less powerful Agera RS, which has a 0-100kph time of around 2.6sec. The world’s lightest crankshaft (12.8kg), milled from a single solid steel billet, alongside a host of other bespoke, lightweight components can be found throughout the powertrain. The use of lightweight components both reduces unwanted vibration usually found with flat-plane crankshaft power plants and allows the engine to spin at an impressive 8500rpm. One of the highlight features of the Jesko is its new nine-speed Light Speed Transmission (LST). 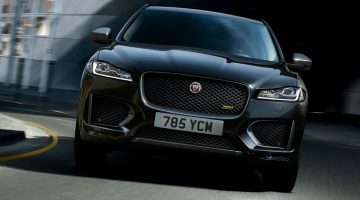 The brand claims it’s capable of ‘near light speed’ gear changes, due to the simultaneous opening and closing of clutches, allowing for ‘seamless’ acceleration and deceleration. Thanks to the trick multi-clutch system, Ultimate Power On Demand (UPOD) allows the gearbox to jump to the most effective gear, unlike a dual clutch system which has to run through all gears on the way. As this car is an evolution of the Agera, tweaks have been made to the carbon tub in order to make it a more useable machine. It’s now 40mm longer and 22mm higher to provide occupants with more legroom, headroom and visibility, but still features industry-best torsional rigidity thanks to its carbonfibre and aluminium sandwich construction. The increased focus on practicality doesn’t stop there, either, with rear-wheel-steering giving it improved manoeuvrability at low speeds as well as agility at higher speeds. Inside, leather, Alcantara, carbonfibre, aluminium and glass can be found throughout, alongside a new ‘SmartWheel’ that sees the integration of two small touchscreens in the steering wheel, allowing the driver to control aspects such as audio, ride height and cruise control. As found on the Regera, miniaturised hydraulics mean almost all hinges on the Jesko are also automated. 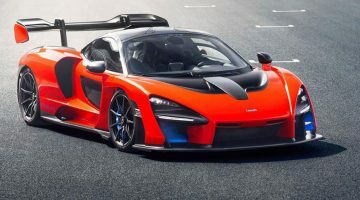 Alongside all of this, the machine is also capable of over 1000kgs of downforce, largely due to its active, top-mounted dual-level rear wing and front splitter with active underbody aero inlets. Lightweight centre-locking forged aluminium wheels come as standard, with optional centre locking carbonfibre wheels also available. The Jesko will cost from around $3m and will be limited to just 125 units.